I turned 25 last Sunday. It was the first time I'd ever had a birthday that didn't feel like a birthday. That's a bad sign. It means they're all starting to blend together and losing their impact. It means I'm officially a grown up. 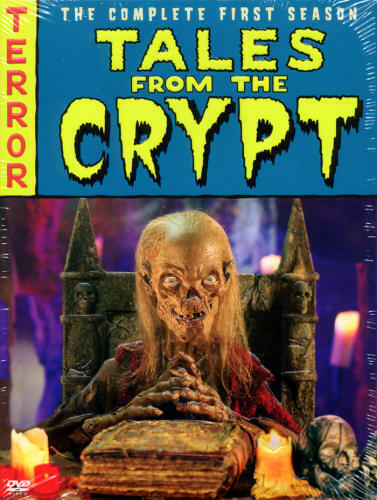 Jac (my gf) got me the coolest present: The Complete First Season of Tales From The Crypt. :D :D GLEE. After show drinks. Stayed for an hour. Ducked out just before the speeches started. Sara (soloist/producer/photographer) instigated a mass singing of "Happy Birthday" to me as I was trying to sneak away. I winced, but nonetheless appreciated the love.